Brand new for 2018, an entire chapter of the Bisazza mosaic collection is dedicated entirely to pools. 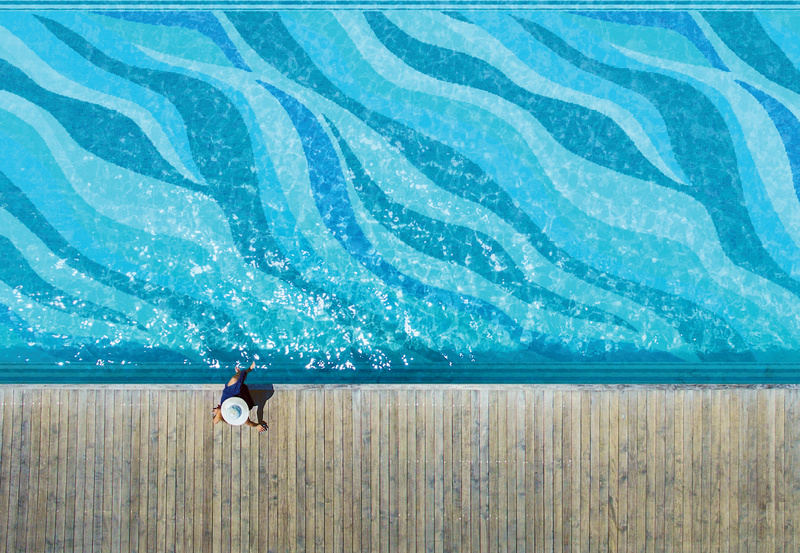 From beautiful floral designs to contemporary abstracts, the new Pools range of mosaics showcases designer creations as well as harmonious blends of colour and texture. One of the brand new inclusions for this year’s collection is the breathtaking Onde 20 Blu (pictured), from an original design by Emilio Pucci. You’ll find this and all of the Pools Collection under the MOSAIC menu, above.